Sometimes animals need our support protecting their wild habitat and sometimes animals need our help finding a new home. 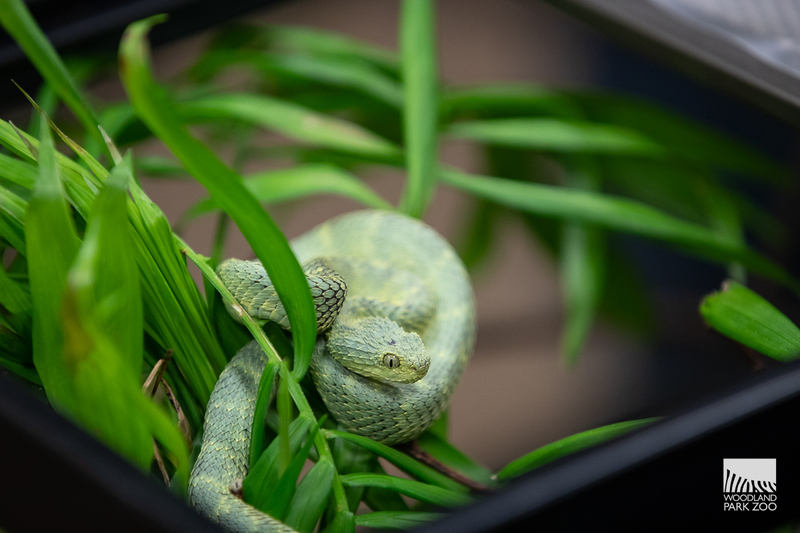 Luckily, we were recently able to assist in two different cases where the expertise of zoo staff found a safe and appropriate new home for some very special creatures—and this story does have a happy ending. A collection of reptiles owned by a woman who recently passed away in southern Wash. is now in the care of Woodland Park Zoo. The dozen exotic reptiles include several Gila (pronounced HEE-la) monsters, copperheads and vipers of various species. 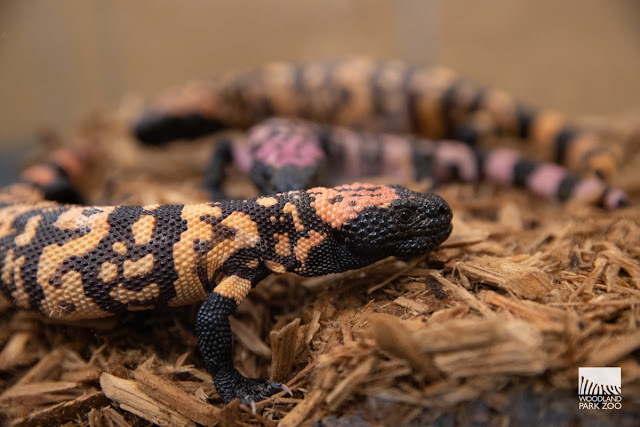 The zoo plans to keep the Gila monsters and will work on placing the snakes in other zoos accredited by the Association of Zoos & Aquariums and which have staff highly qualified to care for these species. Gila monsters are one of two known venomous lizards, the other being the Mexican beaded lizard; they are native to the Southwestern U.S. and northern Mexico. Unlike snakes, Gila monsters and Mexican beaded lizards evolved their venom for defense, rather than for killing and digesting food. Although the Gila monster’s bite is normally not fatal to humans, it is extremely painful, and it is very important to see a doctor as soon as possible if bitten. Although Woodland Park Zoo stocks antivenom to provide accidental snakebite from all of the species of venomous reptiles in its collection, no antivenom exists for Gila monsters or for two African bush vipers that were part of the rescue. 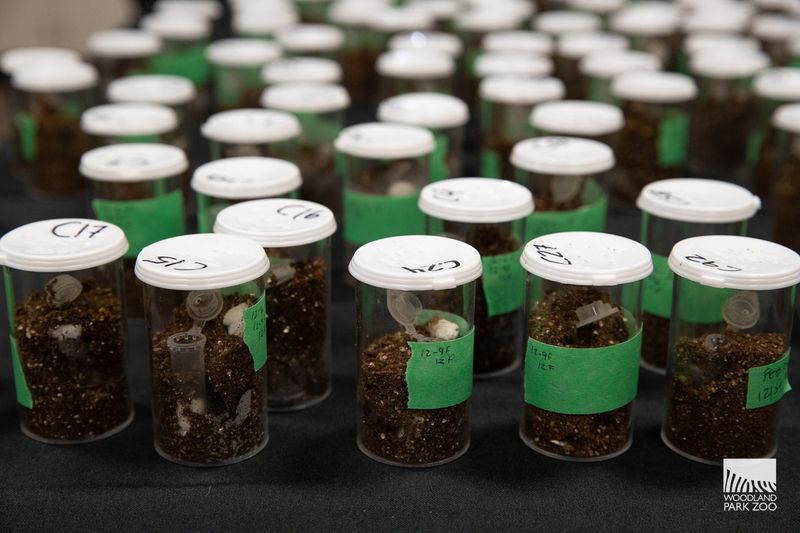 In a separate recent case, the zoo rescued 250 tarantula spiderlings that were confiscated by U.S. Fish and Wildlife Service from an importer. 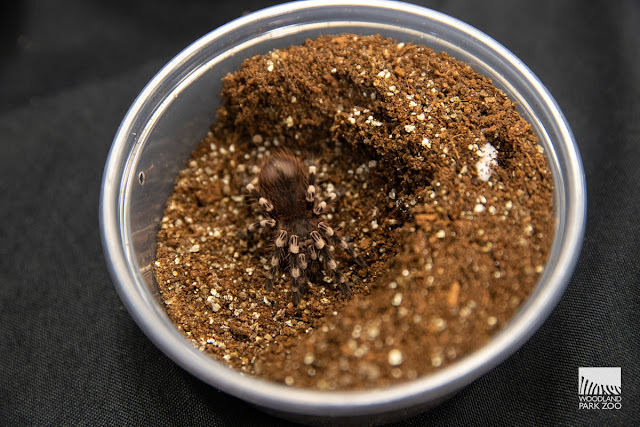 Because Brazil does not export adult tarantulas, it’s assumed the baby salmon pink bird-eating tarantulas and white-banded tarantulas were bred from illegally wild-caught adults. These youngsters are small now, but the salmon pink bird-eating tarantulas can grow to have a leg-span of more than 10 inches at adulthood. Many animals, including reptiles and spiders, are threatened by the pet trade. 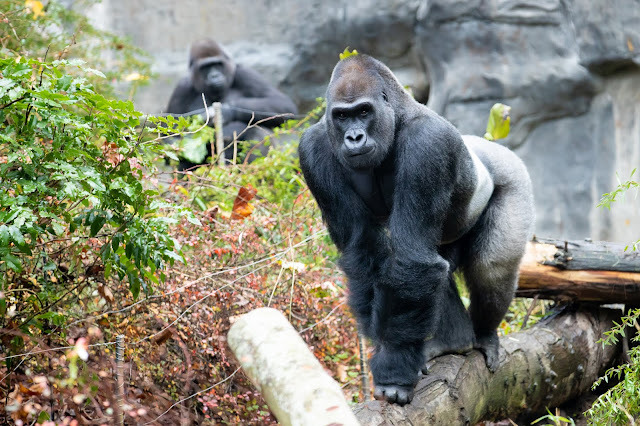 Woodland Park Zoo works closely with wildlife agencies as a partner for consultation and providing a safe home on a case-by-case basis such as these two examples. 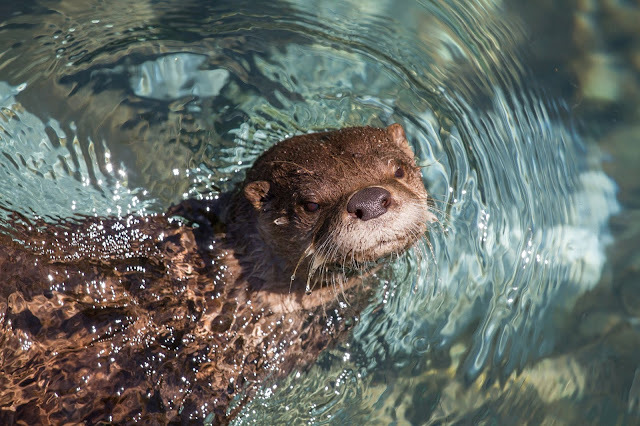 Sadly, it is not uncommon for people seeking homes for unwanted pets to reach out to Woodland Park Zoo; however, zoos accredited by the Association of Zoos & Aquariums, like Woodland Park Zoo, concentrate mainly on helping endangered species. Woodland Park Zoo can’t begin to absorb unwanted pets in need of homes and refers pet owners to several organizations in the region including Pacific Northwest Herpetological Society, Northwest Exotic Bird Society and Pasado’s Safe Haven. Are you considering adding a pet to your family over the holidays? Before you welcome a new addition into your home, it's important to be ready for the responsibility that comes along with pet ownership. And that includes understanding the needs of the species you're adopting. There are lots of resources available for owners of dogs, cats and other domestic animals—to help them provide everything their pet needs to live a safe and happy life. That ranges from finding proper veterinary care, which can be expensive, to providing a healthy diet that meets the needs of their pet. There are some animals, however, that don't make such good pets. Most people are probably not prepared to meet their specialized needs. Some of them can live for 30, 40 years or more and some can be dangerous or even illegal to own. Please make sure you do your research before committing to any new pet—and let's all promise not to buy or sell illegally traded animals. Remember, if you don't know where an animal is coming from, or if you aren't comfortable with the seller, it's best to walk away. Feel free to ask lots of questions to help understand where the animals are coming from. The store or seller should know whether or not an animal was born in the wild or in captivity, and if it's not clear, then you shouldn't be part of it. Have you met Zeus the mountain goat? 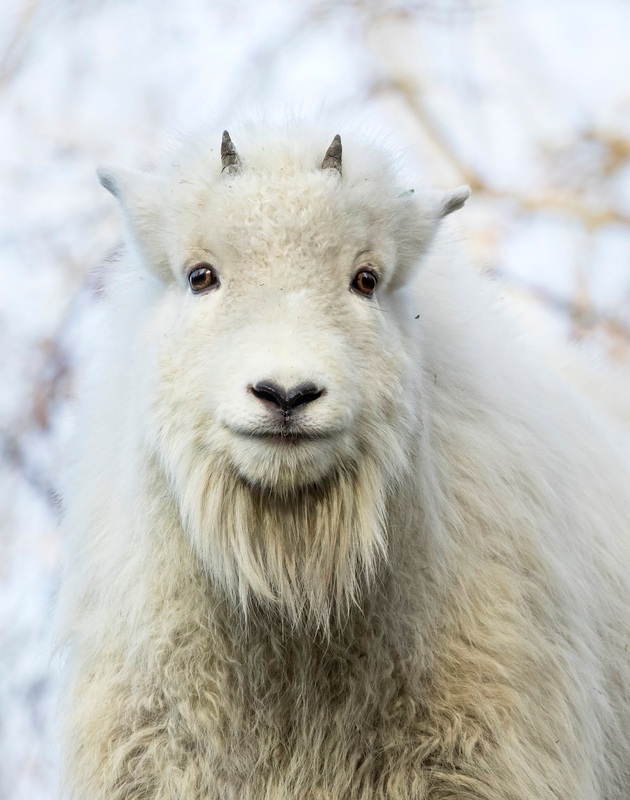 Zeus the mountain goat, much like the king of the Greek gods who hailed from Mount Olympus, is handsome, athletic and sports a stunning white beard. Unlike his namesake, he will not be married to the goddess Hera, instead he’ll kick it with his new BFF Daisy. Hey, Zeus! Photo by Dennis Dow/Woodland Park Zoo. Back in September, we told you about a group of non-native mountain goats being translocated from Olympic National Park during a multi-agency operation to re-establish and assist in connecting depleted populations of mountain goats in the Washington Cascades. 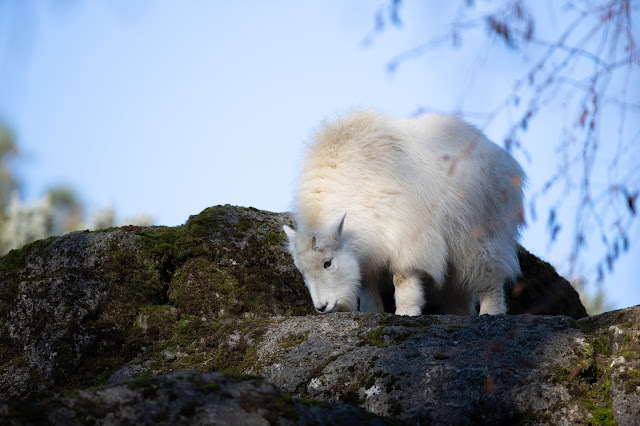 The effort to translocate mountain goats from the Olympic Peninsula is a partnership of the National Park Service (NPS), the Washington Department of Fish & Wildlife (WDFW), and the USDA Forest Service (USFS), with support from area tribes. Mountain goats were introduced to the Olympics in the 1920s. All in all, there were 98 mountain goats translocated from Olympic National Park to the northern Cascade Mountains. Woodland Park Zoo partnered with Northwest Trek and Oregon Zoo to provide permanent homes to goat kids without known mothers. Six mountain goat kids that could not be paired up with their mothers were originally transferred to Northwest Trek. Zeus was one of those six and a few weeks later he settled into the herd here at Woodland Park Zoo. Zeus and Daisy on the slopes. Photo by Dennis Dow/Woodland Park Zoo. 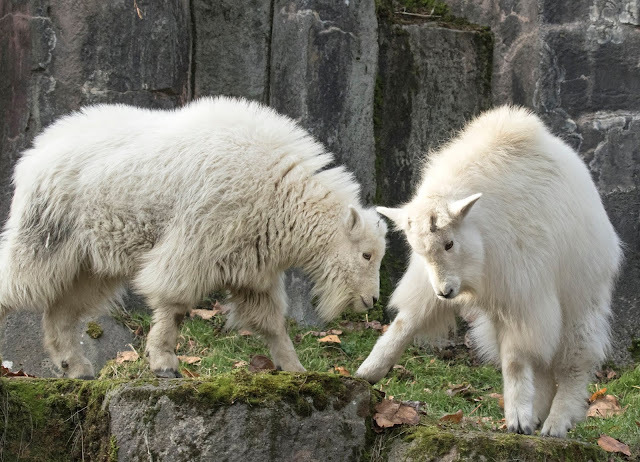 Now, Zeus is acquainted with his herd on the Northern Trail and has been seen frolicking with Daisy, a young goat born at Woodland Park Zoo in June 2018. His keepers tell us he is quite smitten with Daisy and seems to get along well with aunties Bluebell and Atlin too. Zeus is a young goat, so he'll be perfecting his climb and balance as he grows. Zeus scouting out some green on the Northern Trail. Photo by Jeremy Dwyer-Lindgren/Woodland Park Zoo. Mountain goats are adapted for life on steep, cold mountain ledges—way high up at elevations of 10,000 feet and more. They rock thick, woolly white coats that protect them from the elements and have specially shaped hooves to grip the rocks. Right now you can tell Zeus and Daisy apart from Atlin and Bluebelle because of their size and the smaller horns, but not for long! You can tell Zeus apart from Daisy, since she does not have an ear tag, and Zeus has a green ear tag on his left ear. Keep a lookout on the Northern Trail for this handsome little rock climber! Welcome, Zeus! At Woodland Park Zoo, we want to inspire people of all ages to make conservation a priority in their lives. Taj and Glenn want that, too! In case you haven’t met them yet, Taj and Glenn are the greater one-horned rhinos who moved into the zoo’s new Assam Rhino Reserve earlier this year, and they are already inspiring the next generation of wildlife protectors. That generation includes lots of motivated kids of all ages who are active in their communities and schools. They want to save wildlife. They want to make a difference. And we want you to know about them! We recently shared a story with you about children who live in the Manas community of Assam, India. They take an oath every day at school with their fellow classmates to protect the wildlife and wild places near where they live. 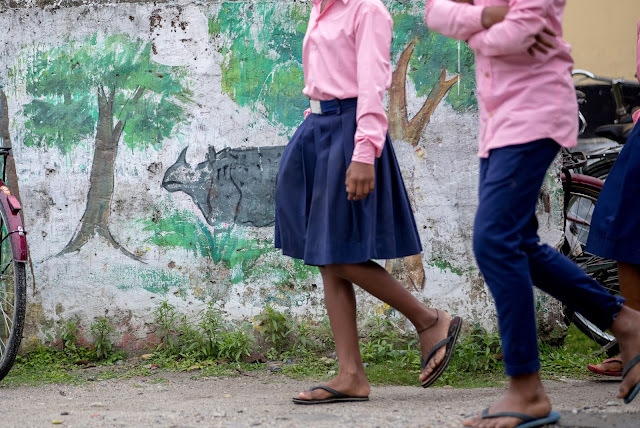 It just so happens that where they live is right next to Manas National Park—home to animals found nowhere else on earth including pygmy hogs, golden langurs and a translocated population of greater one-horned rhinos—just like Taj and Glenn. These kids feel it is their duty to look out for wildlife and to look out for rhinos. Halfway around the world, there are groups of kids right here in the Seattle area who feel the same way. Each of these groups is taking action to make sure that THEIR future includes a world where rhinos can live safely without the threat of poaching. These junior philanthropists are showing us that you’re never too young to make a difference. We are inspired by them, and we think you will be too! They come from a variety of different neighborhoods and schools, but they all had the same great idea on how to raise funds for conservation and raise awareness about the plight of rhinos—set up lemonade stands in their neighborhoods! 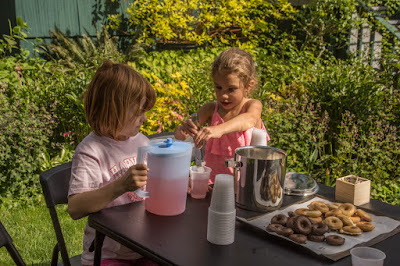 Max and Leo Chandrasekaran, along with some friends, also ran a lemonade stand and sold cookies. 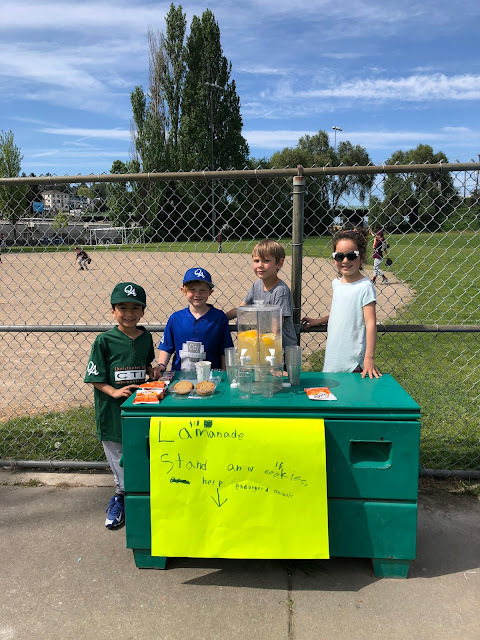 They set up shop next to a baseball field in the Queen Anne neighborhood and decided they wanted all the money they made to go toward rhino conservation. Way to go kids! 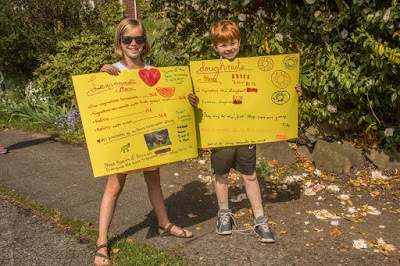 Take a look at this class of second and third graders from Laurelhurst Elementary School who hosted a lemonade and cookie stand in support of rhinos as part of their community impact project. Here they are, pictured at Woodland Park Zoo’s rhino exhibit in the Assam Rhino Reserve, presenting a check to Chad, one of our rhino keepers. Chad looks pretty impressed! We’re impressed too! Finally, a local Girls on the Run Team from McDonald International Elementary school decided that a lemonade and cookie stand was the perfect way to raise money in support of endangered animals, like rhinos. Here they are, coming out for a cause and having fun at their elementary school. 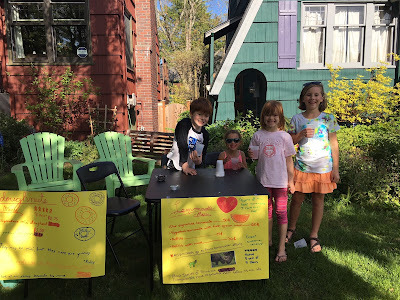 In total, these kids—these budding philanthropists and conservationists—raised more than $800 for rhino conservation. That’s enough to outfit an anti-poaching ranger station with equipment and gear. Clearly, a little lemonade and a lot of passion for conservation (plus some cookies, too) go a long way! Now THAT is impressive and we are grateful for the example they’re setting for our whole community. In the Rhino Lookout series, we’re highlighting the stories of those who are looking out for rhinos and what we can do to help. Visit Assam Rhino Reserve, now open at Woodland Park Zoo, and follow #rhinolookout for more stories. Every visit to Woodland Park Zoo supports our work with International Rhino Foundation and more than 30 other projects dedicated to saving species here and around the world. Have you dreamed of going back to school? Are you looking for ways to make a difference in your community and for the environment? 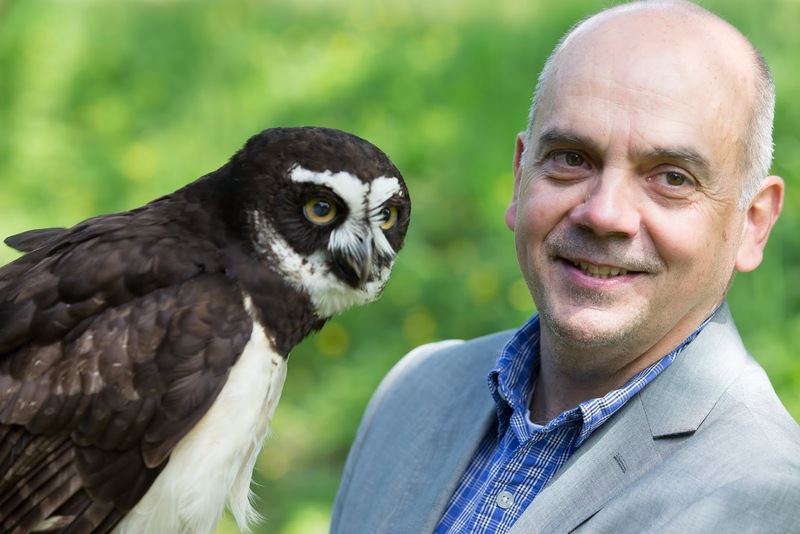 Since 2001, Woodland Park Zoo has been partnering with Miami University of Ohio to offer a groundbreaking graduate degree that allows students to become conservation leaders within their communities and globally. Advanced Inquiry Program (AIP) Master’s students and alumni are agents for positive environmental change are they have amazing stories to share. Maybe they'll inspire you to take conservation action! This blog features current AIP student Margaret Hanzlick-Burton. She shares how her AIP experience has given her the courage to engage with new communities in Seattle, across the United States, and in Borneo. Check it out! My road to the AIP is long and winding. I have a bachelor’s degree in theatre performance and taught children’s theatre for a while, which I loved doing. While teaching theatre, I applied for a presentation and interpretation position at the Kansas City Zoo. After I got the job, I realized that my passion lies in environmental conservation and its communication. Soon after, we moved to Seattle where I saw a flyer for AIP. The program was exactly what I was looking for in terms of furthering my knowledge and career! I’m so glad I chose to be part of AIP because it has given me experiences and connections that I wouldn’t otherwise have ever had. WPZ: What is the most interesting part of the program? I really enjoy getting to learn with and from a group of people who share my same passion for environmental conservation. My classmates (both in Seattle and online) come from such a wide variety of backgrounds and I feel that I benefit from their varied experiences. Some are teachers, some are animal keepers at zoos or aquariums, and others work in areas from event planning to computer programming. Everyone brings a different perspective to our discussions which we all can learn from. 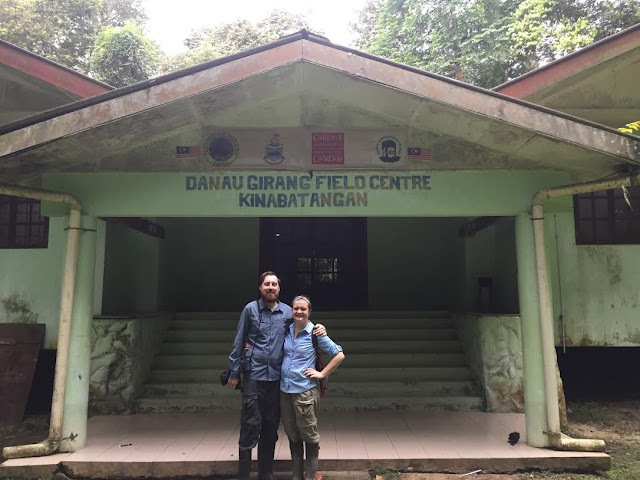 Margaret Hanzlick-Burton worked with researchers, community members, palm oil growers and other fellow students to learn about the environmental issues that affect people and wildlife in Borneo. WPZ: Tell us about your Earth Expedition course to Borneo! To say the trip was life changing would be an understatement! In Borneo, I got to live with and work beside people who are working hard on behalf of the environment every single day. We talked with researchers, community members, students, and oil palm growers and learned about the environmental issues that concern them. 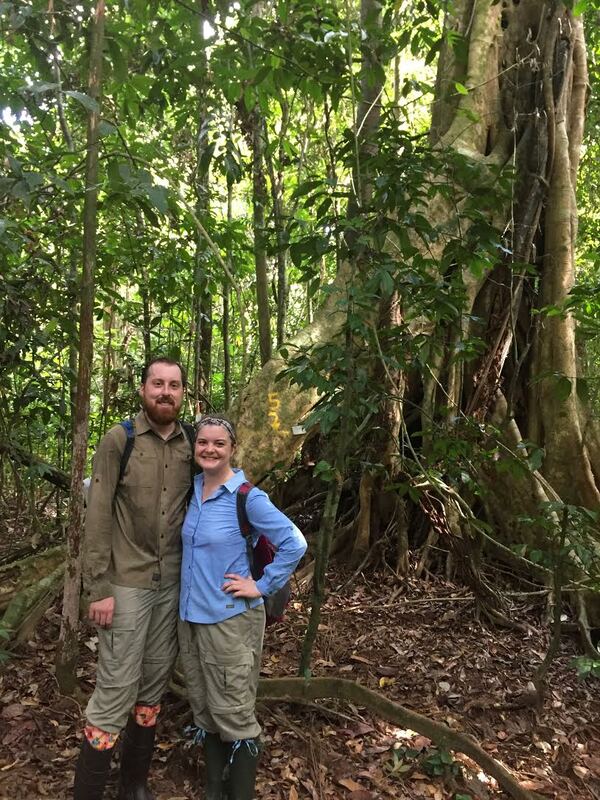 Getting to see orang-utans, elephants, pangolins, proboscis monkeys, and sun bears in the wild wasn’t too bad, either! The Earth Expedition course provided me with a global perspective on the subjects I’ve been studying for a year and a half. One of my favorite elements of this program is that it forces me to go outside my comfort zone and engage with my community. I’ve involved high school students, teachers, Bornean community members, and Seattle bar patrons in my projects. I would never have had the courage or the opportunity to engage with all those people on my own. Many AIP courses focus on community-based conservation and AIP students get to (and are required to) put this concept into practice. One of the important lessons I’ve learned from this program is that if the affected community is not an integral part of conservation programs, the chance is high that those initiatives will fail. I’m grateful for the opportunity to talk to the people around me and involve them in my work. Margaret Hanzlick-Burton's studies with the AIP program took her to the forests of Borneo. WPZ: How does this program impact you personally and professionally? I often discuss conservation and environmental issues with friends, family, and the general public at work. My AIP coursework has given me the tools to be more articulate about the subjects I’ve always wanted to talk about but haven’t been exactly sure how to (value of zoos, evolution, climate change, etc.). Now I feel much more comfortable discussing these topics with others in an informed, empathetic way. I will admit that it can be challenging to balance life, work, and AIP. But I can assure you that it’s completely worth it. It’s very rewarding to feel that I’m working toward a degree that will hopefully help to make the world a better place. I get to take classes in subjects that I am not only very interested in but that are also relevant to the work I do and to my career. WPZ: Who would you recommend this program for? Are you passionate about conservation? Do you not only want to learn more about environmental issues but also do something about them? Are you looking for ways to engage with your community about subjects that matter? Then AIP is for you! 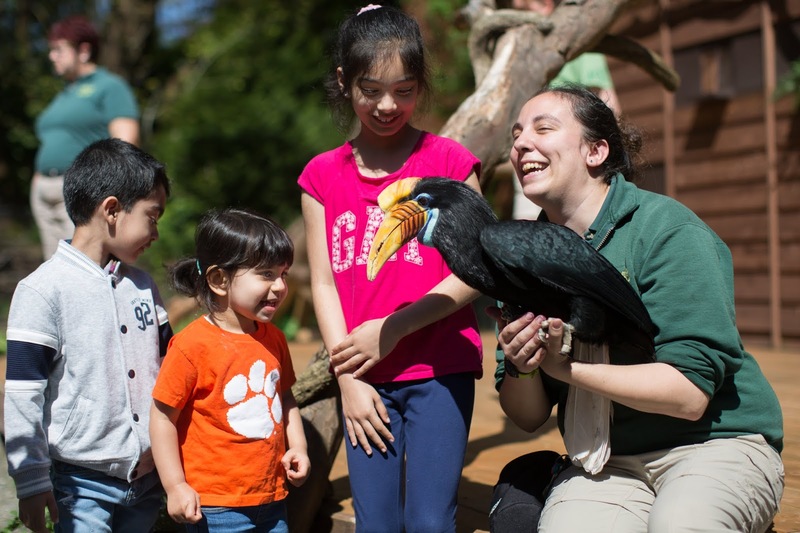 Woodland Park Zoo is thrilled to offer the Advanced Inquiry Program (AIP), an exciting Master’s degree from Miami University with experiential learning and field study with the zoo. The AIP offers a groundbreaking graduate degree focused on inquiry-driven learning as a powerful agent for social and ecological change. The AIP is designed for a broad range of professionals from education, conservation, business, and government settings. 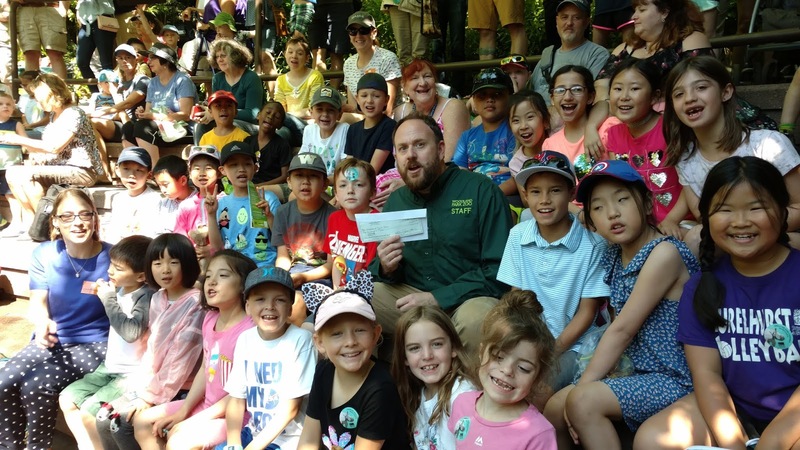 Since the program began in 2011, Woodland Park Zoo’s students and graduates have been enacting amazing environmental stewardship and social change in their communities. One of the most cherished rights of humans is the ability to influence our destiny. Democracies enable the right to vote, which is missing in many parts of the world. While in the United States, voters this fall may wait in long lines this election season, here in Washington all you need to do is put your ballot in the mail. Easy! 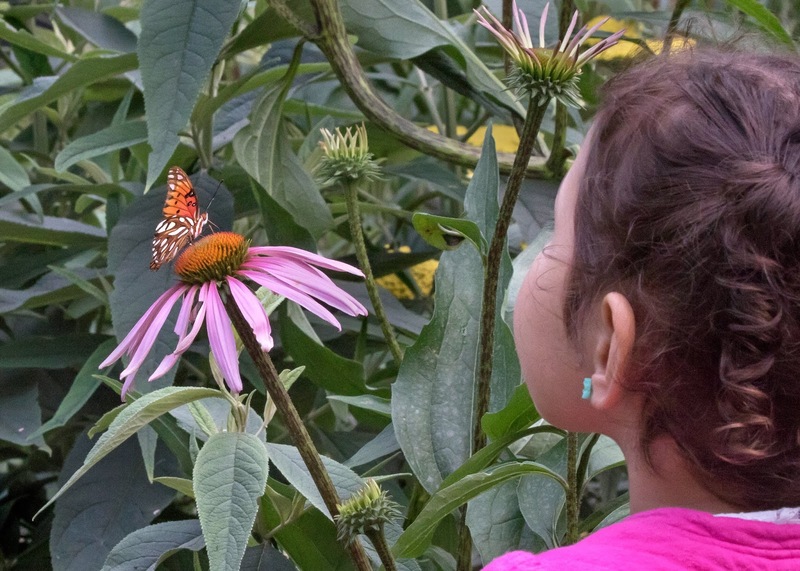 A young visitor meets a fancy friend at Molbak's Butterfly garden. Photo by Dennis Dow/WPZ. Ballots are arriving in your mailbox now for the November ballot, and at the zoo, we are urging all of our supporters to vote. In addition to many very important races at the local level, there are two important initiatives on the ballot. Blueberry meets with her fanclub. Photo by Jeremy Dwyer-Lindgren/WPZ. For those of you in Seattle, there is Prop 1, the Families,Education, Preschool and Promise Plan. Prop 1 replaces two levies about to expire – one that helps preschool and one that targets needs in K-12 (including helping students go to community college). These levies were the result of work by our City Council, and the Mayor has given her support to their renewal, as have the local chamber of commerce and labor groups. Summer learning opportunities, after-school programs, and investments to modernize our schools are part of the levy. At the zoo, we envision a world where all children can experience nature, learn and care about animals, and help save wildlife. The Families, Education, Preschool and Promise Plan is perfectly aligned with our mission. It will continue to create more access for educational opportunities and expand educational support to those who need it the most. I applaud our local elected officials in Seattle, both for creating the original levy and for working diligently on this renewal. Mayor Durkan has personally been very focused on this levy, which will make early learning a priority in Seattle, no matter where you live. 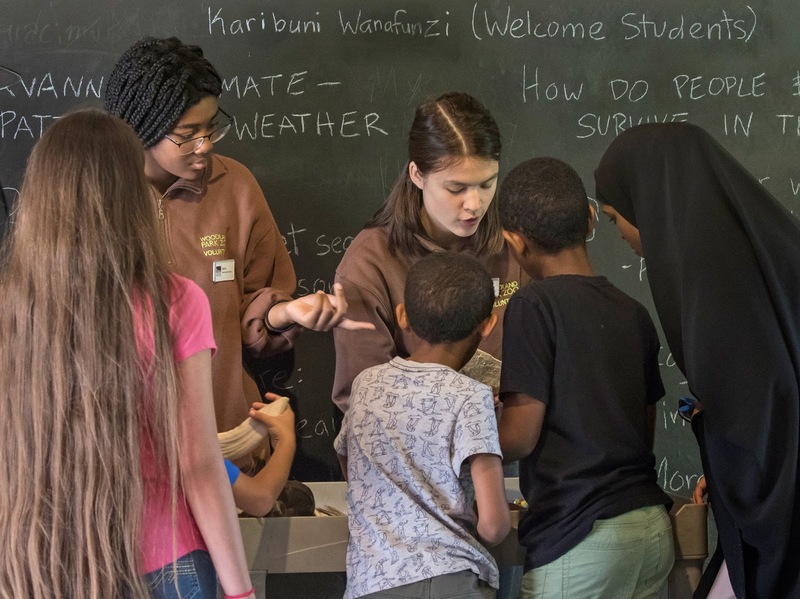 Youth volunteers engage young visitors in climate change solutions. Photo by Dennis Dow/WPZ. Across Washington state, the zoo has been committed in its support of Initiative 1631. If passed, Initiative 1631 would be the first Carbon Fee enacted by popular vote in the world. Woodland Park Zoo fully endorses Initiative 1631 because the health of the Puget Sound region, its people, and wildlife are impacted by carbon pollution that leads to longer fire seasons, decreasing snowpack which impacts our clean drinking water and causes droughts, and ocean acidification. Initiative 1631 will appear on your ballot as, “Initiative Measure No. 1631 concerns pollution.” The Initiative is composed of one of the broadest citizen coalitions of any ballot in the state’s memory, from farm groups to Tribes, to businesses and community organizations. The law will generate approximately $2 billion over 5 years, but the funds can only be spent on clean energy jobs and infrastructure, clean water, healthy forests, and investing in our local communities. Every investment will be overseen by a public board comprised of experts from science, business, health, and communities throughout the state. A river otter looks up in between diving for fish. Photo by John Loughlin/WPZ. Alejandro Grajal with Coba, a spectacled owl. Photo by Jeremy Dwyer-Lindgren/WPZ. Climate change and early learning are two topics that matter deeply to younger people. So we are calling on all people, especially those who are age 18 to 29 to really make a difference with your vote. Our educational system, our early learning and pre-school opportunities, our community colleges, the air we breathe, the water we drink, and the forests around us – much depends on your vote. Take the time to get informed and vote this November. It could be the most important vote you will ever cast. Mail-in ballots are due by November 6th. 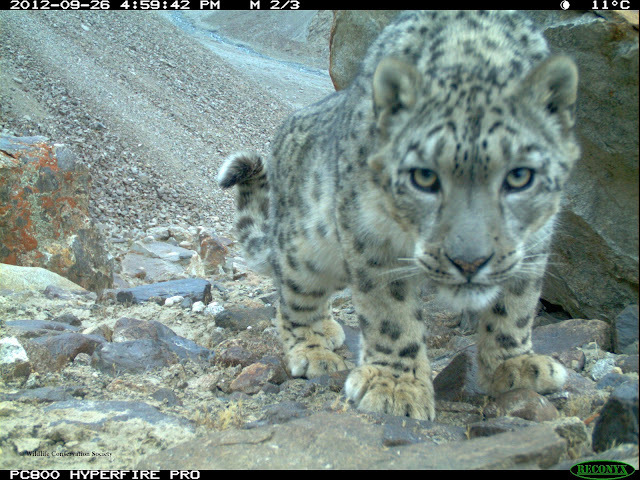 Camera trap image of a snow leopard in Pamir Mountains, Central Asia. Photo credit: WCS Afghanistan. The names are so evocative that they feel fictional—the Himalayas, the Karakorams, the Hindu Kush, the Tien Shans, the Altais—the world’s greatest mountains, soaring above the clouds, blocking global weather patterns, and changing the very nature of the vast continent of Asia. In and among these enormous mountains, villagers have scratched out a living carving tiny farm plots out of the precipitous cliffs, moving their small herds of livestock up and down the steep slopes to find pasture. Traders have struggled to drag their goods through the high passes on the historic Silk Routes to sell spices, share ideas, and change the course of history. And of course men have fought wars and built kingdoms in these fearsome mountains, from Genghis and Kublai Khan’s great empires to Britain and Russia’s Great Game global power struggle of the 1800s, to local rulers reigning over individual watersheds, their tiny kingdoms impregnable in their natural rock citadels. The Tian Shan mountains of Kyrgyzstan. Photo by Woodland Park Zoo. 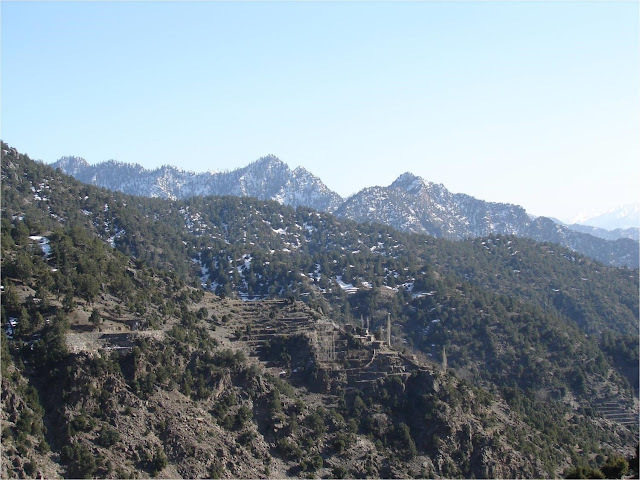 A remote mountain village in Pakistan's Hindu Kush range. Photo credit: WCS Pakistan. Above all this bustle of humanity and history, staring down at the ebb and flow of humankind’s struggles in these colossal crags, is the true monarch of the mountains. Watching with its implacable, unblinking gaze is the snow leopard. This big cat, the color of the clouds that often drift both above and below its high haunts, is one of the more mysterious large mammals on earth. It inhabits some of the most remote, rugged, and impassable landscape on the planet, living in such low densities and being so well-camouflaged that few people who share this mountain landscape—and even the few research biologists who go in search of this elusive predator—ever see one. Peter in the heart of snow leopard country. Photo courtesy of Peter Zahler. After thousands of years of relative stability (if such a word can be used to describe a region of the world where continents are still crashing into each other in geologic slow motion), the snow leopard’s world is rapidly changing—now at human, not geologic speed. The increasing human population, and their increasing livestock herds, are rapidly degrading delicate alpine pastures. Conflict between herders and the predatory snow leopard, which may take livestock, leads to retaliatory killing of this large but shy carnivore. 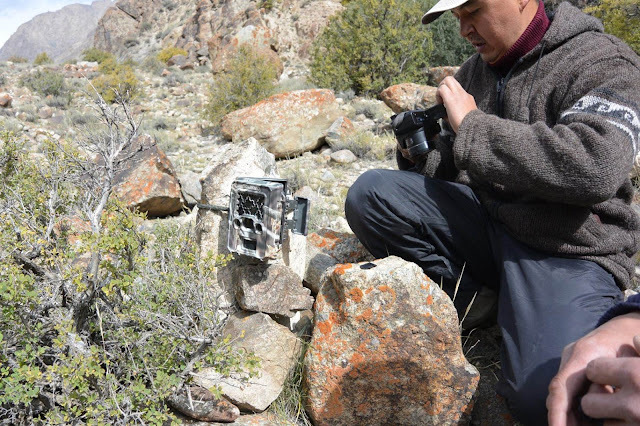 Border fences block movement of wild sheep and the snow leopard itself, while roads are being built into the high mountains increasing access, and extractive industries—especially mining—are following this access and beginning to affect the snow leopard’s home. Hunting of the huge Asian wild goats and sheep—Himalayan ibex, flare-horned markhor, Marco Polo sheep, and others—is increasing. Poaching of the snow leopard itself, mostly for its luxurious pelt but also for the growing market in traditional medicine, has had an impact on the big cat in many parts of its extensive range. 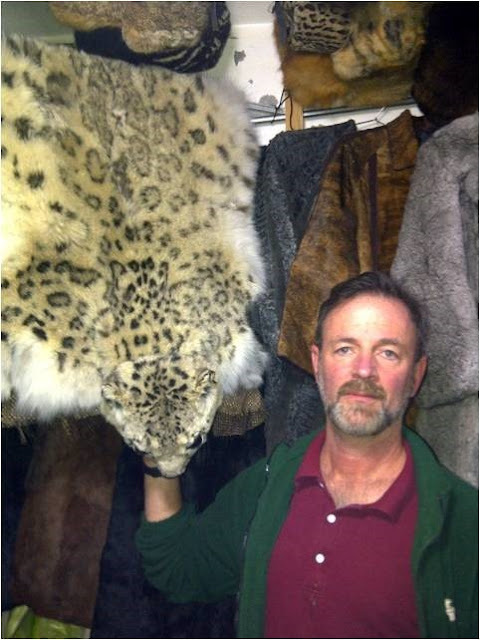 Author with snow leopard pelt, fur shop in Kabul, Afghanistan. Photo credit: WCS Afghanistan. Luckily for the snow leopard, its beauty and mysterious allure have helped drive a concerted effort to protect this emblem of Asia’s great mountains. In 1981, Helen Freeman, at the time Woodland Park Zoo’s Curator of Education, created the Snow Leopard Trust to focus conservation actions on behalf of the rare cat. The organization still works in close partnership with Woodland Park Zoo and is active in conservation in five of the snow leopard’s 12 range countries, building community capacity for conservation, assisting in the management of protected areas, and helping local people improve their lives while protecting the snow leopard and its habitat. 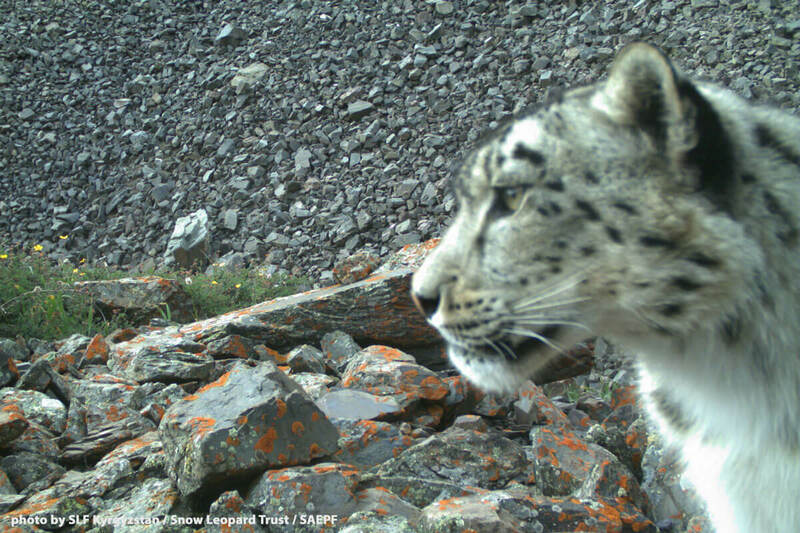 A remote camera image of snow leopard in Kyrgyzstan where our work with Snow Leopard Trust is based. Photo courtesy of Snow Leopard Trust. Checking on a remote camera trap. Photos by Woodland Park Zoo. 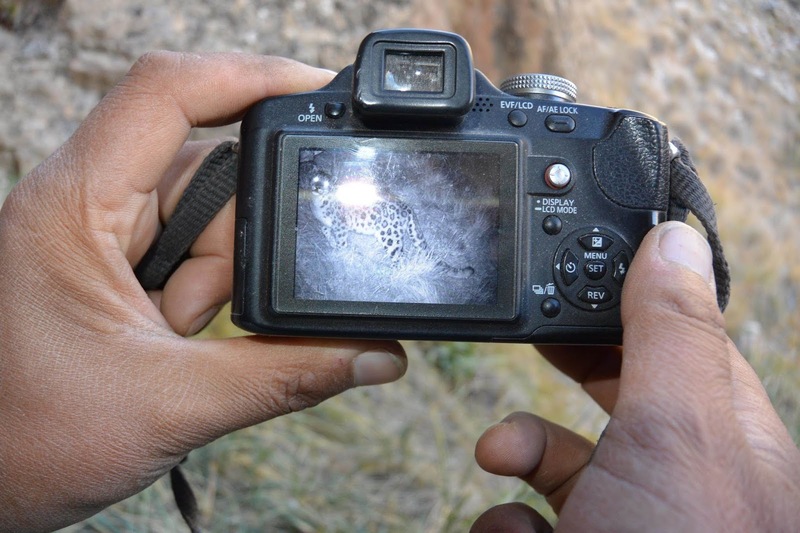 A snow leopard appears on a remote camera. Photos by Woodland Park Zoo. 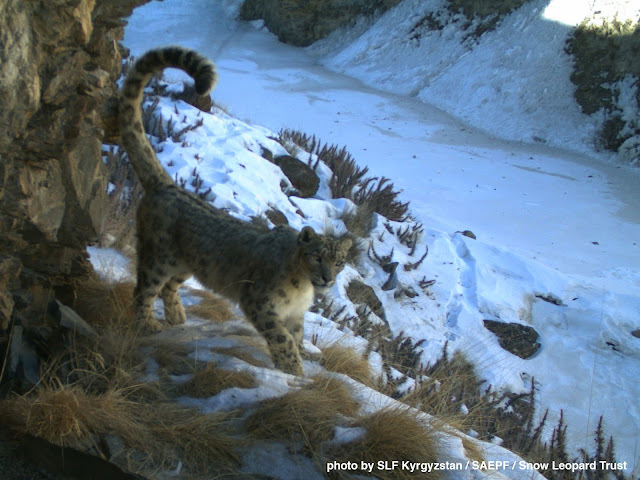 A significant amount of my own professional life has been spent in the snow leopard’s home, helping to save these big cats and the other unique wildlife of Asia’s great mountains. I can say that few places can equal the stark beauty of these peaks or the fascinating, endemic wildlife that make their home high in the clouds. Those clouds include the great Asian monsoons that boil up off the southern oceans and roll across the plains and up against the snow leopard’s mountains. 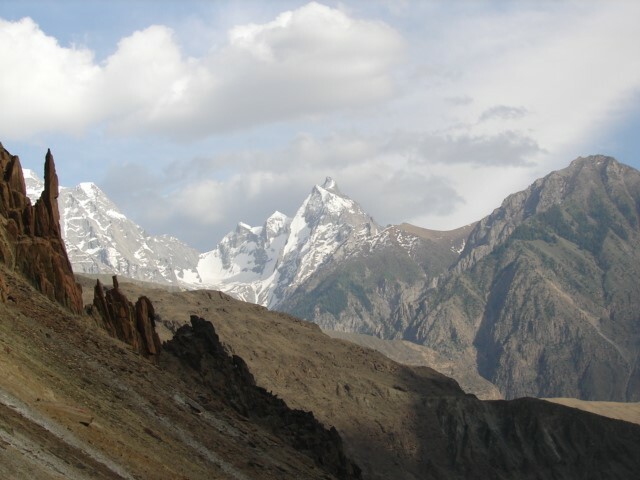 The monsoons bring torrents of rain to the foothills but rarely penetrate into the towering retreat of the snow leopard, defeated each year by the sheer magnitude of these rock fortresses. Unfortunately, another weather-related specter is rolling unimpeded into these high mountains. Climate change is impacting these high mountains more than any other area outside of the Polar regions. In the snow leopard’s lofty home, glaciers are melting and retreating at alarming rates, while rain and snow is falling unpredictably, at different times and in different amounts. Delicate high-desert pastures are being altered, wild sheep and goats are struggling to forage, and local people are already finding their lives disrupted by these changes as they face drought and floods that tear away at the land and the social fabric of their communities. A remote camera image of a snow leopard in Kyrgyzstan. 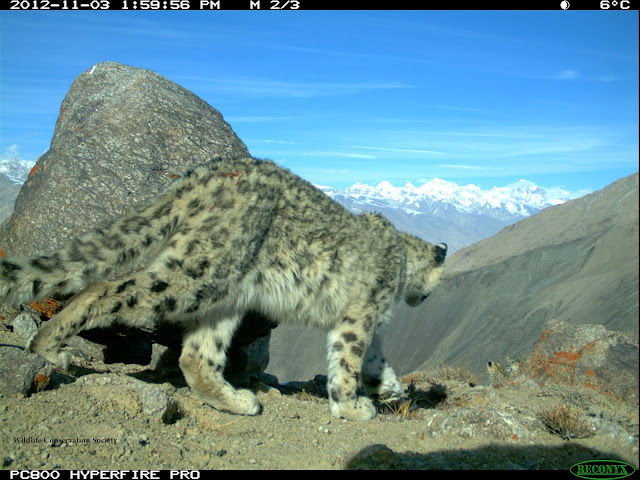 Photo courtesy of Snow Leopard Trust. The snow leopard’s great highlands are not the only montane region to face the menace of climate change. Here in the Pacific Northwest we face a similar threat. Our own high-mountain glaciers are disappearing, snow pack levels are dropping, and the timing and predictability of weather patterns are changing in ways we are only beginning to understand. Woodland Park Zoo is working to learn and begin planning to lessen the impacts of climate change on wildlife and on our own lives, including how to save high-mountain specialists in the Cascades—the wolverine, lynx and marten—for whom climate change may well be their greatest menace. Climate change is truly a global threat, and only by working together are we likely to tackle this growing threat successfully. Fortunately, wildlife conservation, including saving snow leopards, crosses boundaries and political positions, and governments have been willing to come together to find ways to help these iconic species. I have seen and participated in transboundary conservation initiatives that have brought together countries that are at extreme political odds with each other, such as Pakistan and Afghanistan. 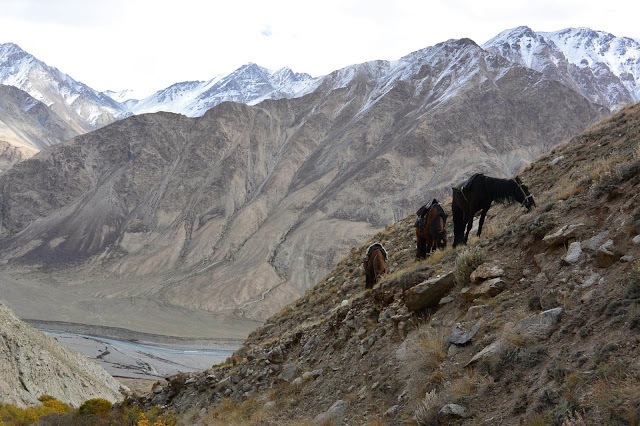 On horseback in the Tian Shan mountains of Kyrgyzstan. Photo by Woodland Park Zoo. This coming week I am going to a conference here in Washington that will bring together research biologists and government staff from the western U.S. and Canada to discuss conservation of the Cascades across the two countries. While I am there the snow leopard will be on my mind, and I will be thinking about ways we can learn about and share new ideas for conservation from one part of the world to another. Today is International Snow Leopard Day. It is a truly international day, one that unites not just the 12 snow leopard range countries but one that unites us across the globe in efforts to save iconic species such as this mysterious big cat…and in so doing, to save ourselves. The soaring, treacherous Karakoram mountain range of northern Pakistan. Photo credit: WCS Pakistan. Learn more about Washington State Initiative 1631 to help address climate change and set an example for the world on climate action. Editor's note: Through the ZooCrew programs, we invite youth from traditionally underserved communities to dive into STEM (Science, Technology, Engineering, and Math) subjects by engaging with real-world conservation issues, preparing them for continued involvement in Woodland Park Zoo’s youth programs, and inspire them to consider a broad range of STEM and conservation careers. 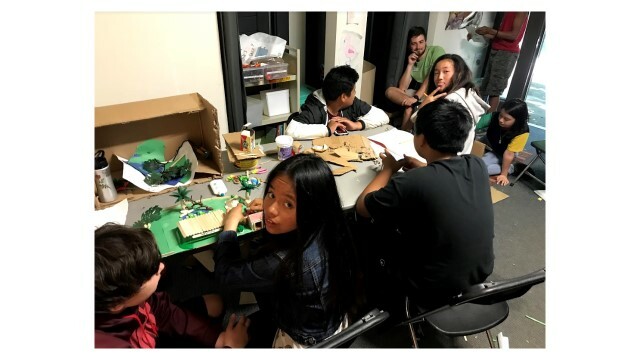 This story is a peek into our 2018 summer ZooCrew learning session. 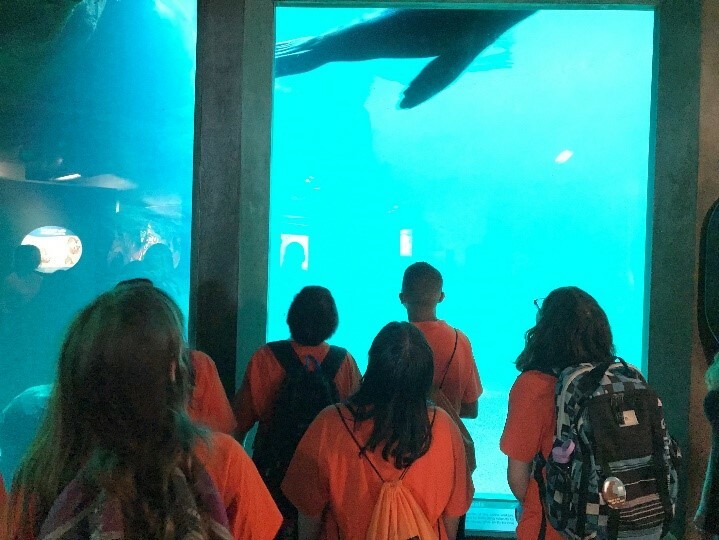 This summer, the ZooCrew Summer Learning Program let the students pick the theme and explored the world of zoos and aquariums through the lens of exhibit design. 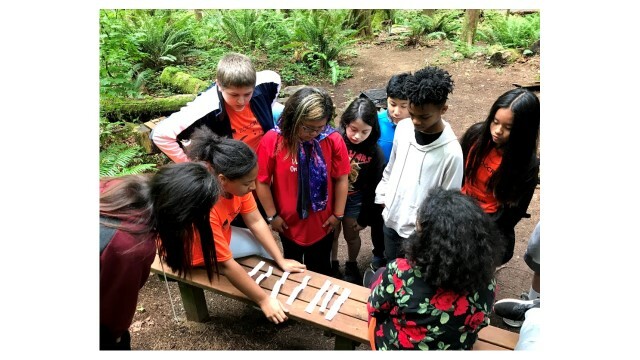 Over two four-week sessions this summer, 25 students from middle schools around Seattle explored the variety of perspectives and careers that are involved in planning and creating animal exhibits. Taking what they learned from field trips to other AZA (Association of Zoos and Aquariums) institutions, meetings with staff at a zoo architecture firm, and talks with various staff at Woodland Park Zoo, students worked on creating their own exhibits, signage, and storytelling for an animal of their choice. Thanks to funding from the Families & Education Levy through the City of Seattle Department of Early Learning, a whole new generation of conservation leaders and zoo architects spent their summer exploring what it takes to make conservation the heart of a zoo. The new Assam Rhino Reserve was a big inspiration for students as they started to think about what their own exhibits might look like. As with past years, we always start our summer program off with an overnight camping trip. From spending some time in the water to working through team-building exercises, the overnight trip gave our teens an opportunity to get to know each other and to learn about their various leadership styles and how to work together. One of our groups even embarked on a riddle hike where they encountered an eclectic collection of characters that each challenged them to solve a problem as a team to get the pieces of a riddle. When combined with s’mores around the fire and plenty of active games, each group left ready to support each other on their exhibit journey. 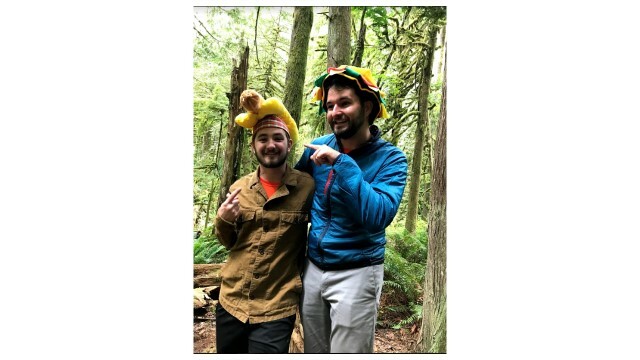 The hamburger and hot dog brothers (ZooCrew instructors Thomas and Rex) have a challenge for the ZooCrew students! If they could complete the team-building task, they would receive a part of the riddle! With all the clues collected, it is time to solve the riddle. The first task for each group was to figure out what animal they wanted to design an exhibit for. 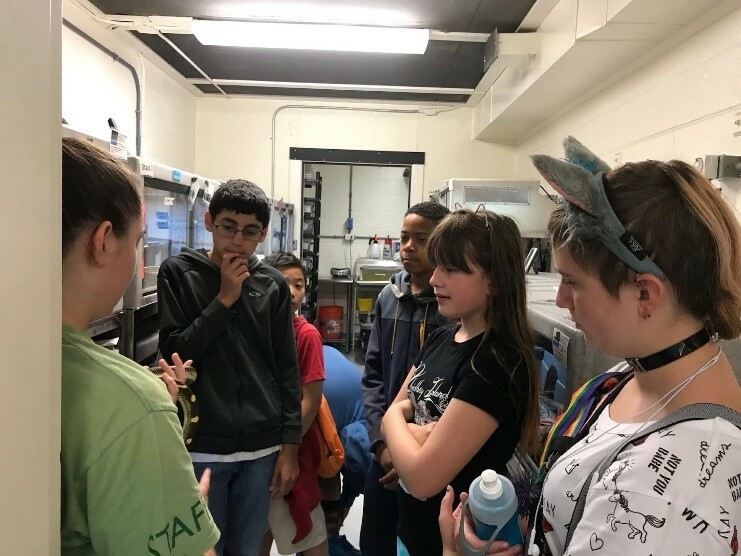 With the help of Bobbi Miller, WPZ Field Conservation Coordinator, we learned about the ways that zoos work with wildlife conservation programs around the world to help support endangered and threatened animals. 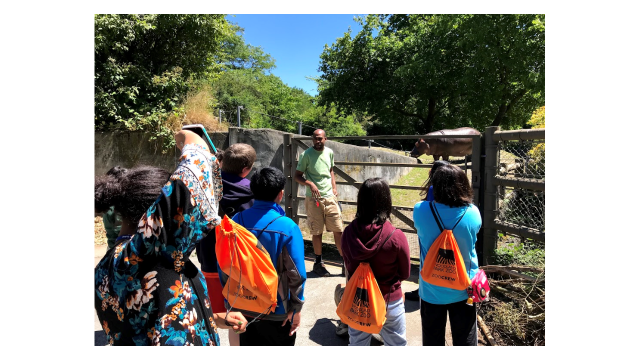 Bobbi helped students to explore the conservation issues of the animals they wanted to work on, and we then visited Point Defiance Zoo and Aquarium to explore how conservation and the stories of individual animals can be brought out through exhibits. We then had the opportunity to meet with some of the animal keepers at the zoo to talk about the needs of the animals and how exhibits are designed with animal comfort and safety first. 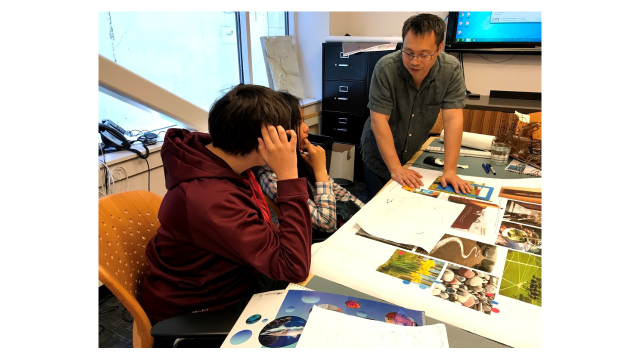 Armed with these ideas and information (and a trip to the Seattle Aquarium to look at aquatic exhibits), students started to plan out their first designs of their exhibits. A trip to Seattle Aquarium was really helpful to some of the groups that focused on aquatic animals for their exhibits. 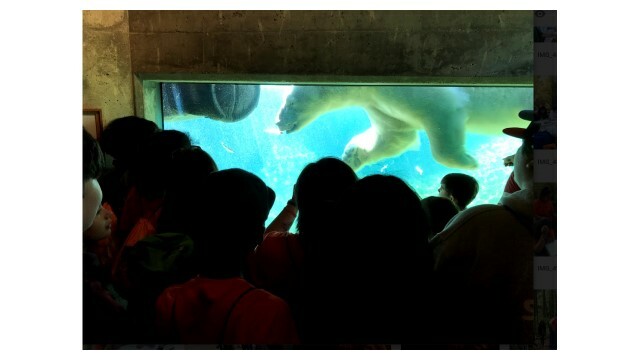 Nothing helps you understand the perspective of a polar bear like watching it swim! Students got to see the exhibits for a variety of new animals on our visit to Point Defiance Zoo and Aquarium. Our next major topic was how to design exhibits to make them work for the animal keeper staff that use them every day. One group explored this by getting to go behind the scenes at the penguin exhibit and talk with keepers about their needs. The other group got to see conservation in action when they visited our baby Western pond turtles and learned about what it takes to raise these local endangered turtles for release in the wild. Students then took a trip to Northwest Trek Wildlife Park to explore a different way of designing exhibits and exploring how those exhibits impacted the animals and the keepers. Students returned to their blueprints and started to design the ‘behind the scenes’ parts of their exhibits for both animals and keepers. Students get a look behind the scenes at Woodland Park Zoo’s Ambassador Animals to learn about what both the animals and keepers need to make them both safe, comfortable, and healthy. Woodland Park Zoo Animal Keeper Jordan Veasley, talks with ZooCrew students about the features of the African savanna that he finds helpful or would change to make his job easier. The next topic was how visitors to the zoo engage with exhibits and what their experience is like. We took a trip to the Pacific Science Center where we met with Felicia Maffia, the exhibit development manager. Felicia used real examples at the science center to help students explore how to engage people in learning and what the design process can look like. 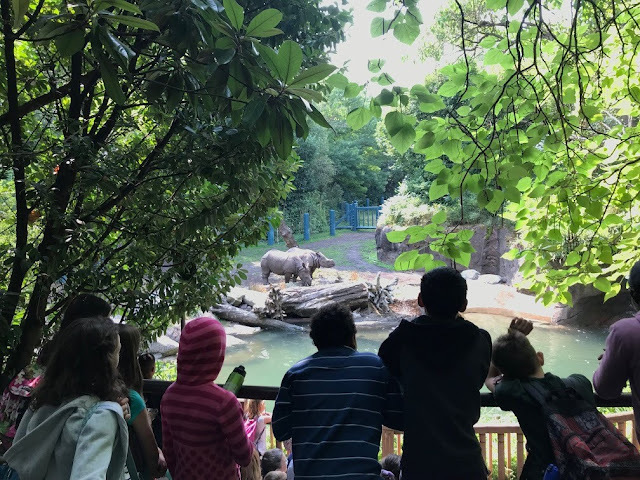 Back at Woodland Park Zoo, students started to think about sight lines and how they could make their exhibit interactive or immersive for guests. With first designs close to done, students provided peer feedback and swapped ideas to get ready for their second iterations. Sometimes to understand what it feels like to be a guest, you just have to be one! 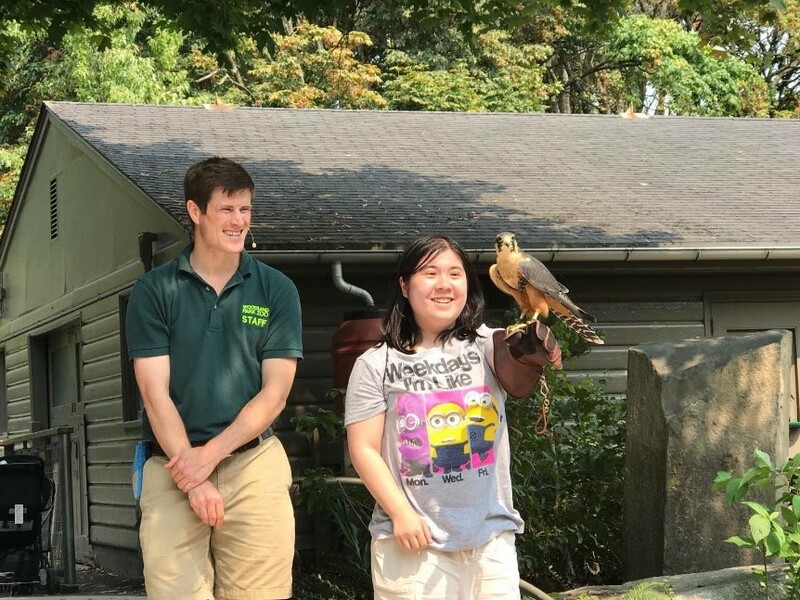 Lily was only too happy to volunteer to find out what some guests get to experience at our Earn Your Wings program this summer. As we entered the final stretch of the program, other considerations were added into the exhibits. Students got to tour the ZooDoo yards and started to think about how to make their exhibits more sustainable. 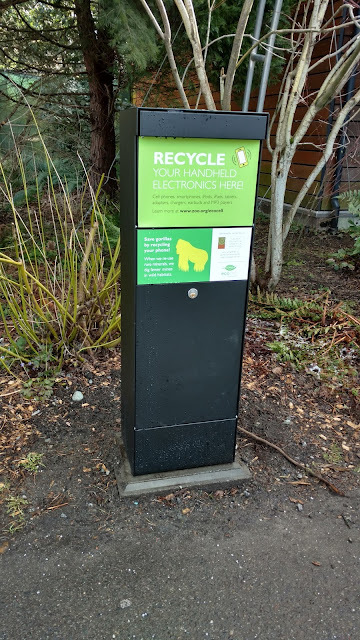 They also met with Woodland Park Zoo’s interpretation department and get ideas on how to create engaging and conservation-action oriented signage. We met with the zoo’s marketing department to talk about what it takes to get people excited about visiting and inspiring people to make conservation a part of their lives. We also had the unique opportunity to meet actual zoo architects at Portico here is Seattle. 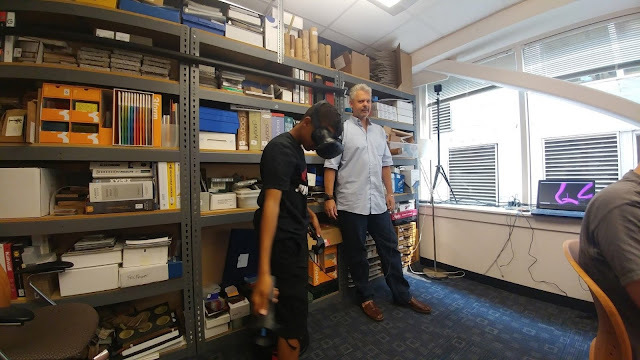 Students explored how perspective drawing and virtual reality can help bring to life designs and talked about what it takes to make the zoo of the future. 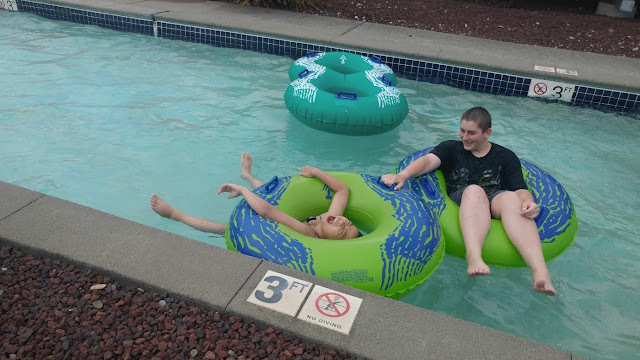 Of course, students also needed an opportunity to examine how you create an atmosphere of fun, so a purely research-focused day at Wild Waves was required to help them internalize those lessons. No better person to ask for feedback on your exhibit design than a professional zoo architect! Xavier and Jaqueline listened intently to some suggestions and praise on our visit to Portico. Dhillon works on his own design using virtual reality! Students had the opportunity to try out a 3-D design program on our visit to Portico. You can tell how hard Vy and Patrick are working to learn about creating an atmosphere of fun on their trip to Wild Waves. 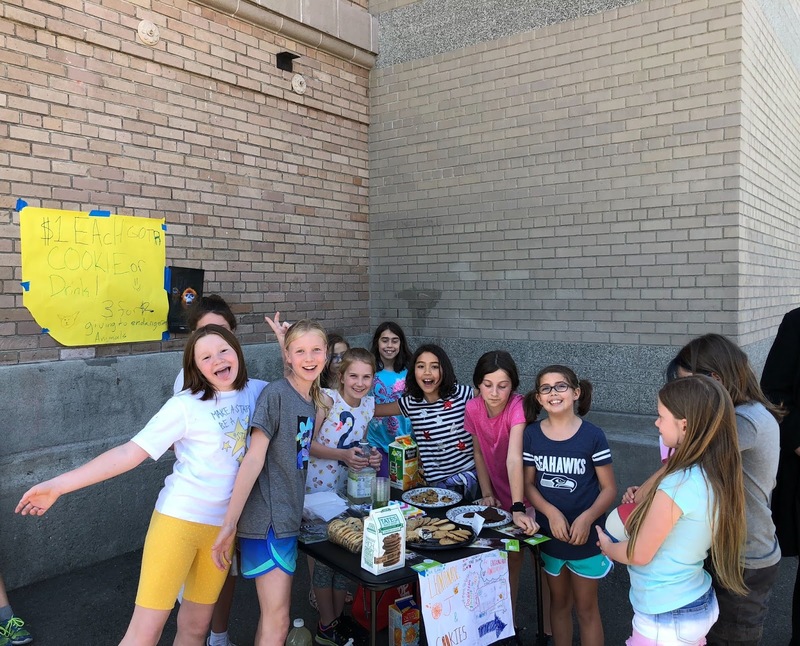 During all this, students worked on their final blueprints, created signage for their exhibit, and developed a marketing campaign to spread the word. However, the most exciting part was still to come as students took their blueprint and brought them to live by creating models of them using recycled materials! The program wrapped up with an overnight at the zoo where we finally got to see what the animals were up to when everyone else want home. Out last day was spent at Carkeek Park reflecting by the water, having a BBQ, and enjoying out last day as a group. Making the models of their exhibits was one of the most exciting, and exhausting, part of the summer. At the end of the program, participants invited their families to Woodland Park Zoo to show off their exhibits and enjoy an evening looking at animals. Students then presented their projects sharing their models, their conservation messages, and some of the lessons they learned along the way. We want to send out another thank you for all the work that ZooCrew parents and guardians put in to help make the program run smoothly this summer. We also wanted to thank all the zoo staff and community organizations that helped provide such a great experience this summer. Finally, we wanted to let the ZooCrew students know how proud we are of the work they did this summer. We know that our ZooCrew students will be a big part of the movement to make conservation a priority in our lives! 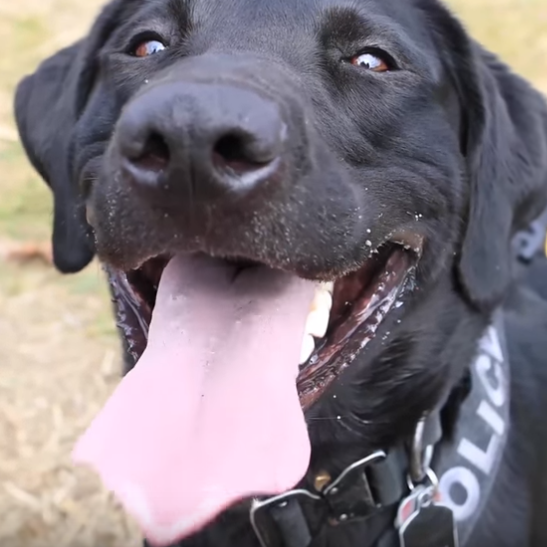 Video: Meet Benny, a certified good boy. 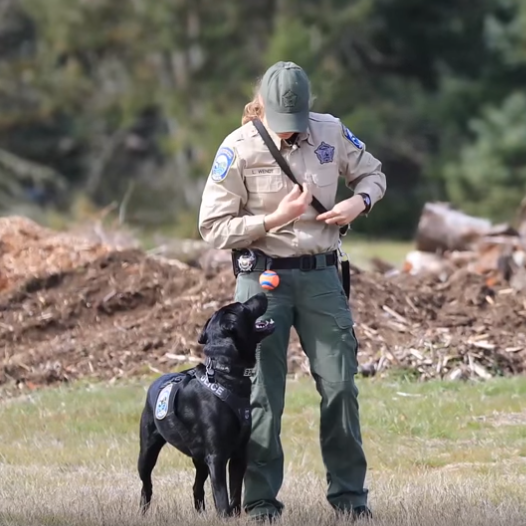 When Washington Department of Fish and Wildlife Detective Lauren Wendt was searching for a new recruit, she had some criteria in mind: high energy, relentless drive, sharp senses, and a love of toys. “We knew we wanted to rescue a dog,” says Detective Wendt, who took the initiative to start Washington’s first wildlife crime detection dog program. Wendt scoured the Internet looking for a good fit. That’s when she found a then 16-month-old black Labrador retriever who had too much energy for his family and needed to be re-homed. Sure, his paycheck is a rigorous round of tug-of-war with his favorite rope ball, but K9 Benny’s work is serious business. His nose can detect some of the most trafficked illegal wildlife parts—rhino horn, elephant ivory, bear gallbladder and shark fin—firearms, and spent casings. Wildlife trafficking is a lucrative international crime with troubling local connections. A couple was busted with $25,000 valued in ivory at Seattle-Tacoma International Airport in May this year. That same month, authorities busted one of the largest poaching rings ever to target Washington’s wildlife. To stop the killing, Woodland Park Zoo supports ranger patrols that protect greater one-horned rhinos, Malayan tigers and African elephants from poachers. But to truly end wildlife trafficking, we must also stop the demand and close the markets. When 70% of Washington state voters passed the nation’s first citizen initiative to ban wildlife trafficking and assure better enforcement, one million people in our community came together to make it clear—we stand for saving species. So does K9 Benny, albeit on four legs. Benny has put more than 200 hours of training into his work. It started with a simple approach. When Detective Wendt first introduced new scents to K9 Benny’s detection repertoire, she would pair a scent with a toy so that Benny associated those odors. Then she slowly began removing the toy and rewarding him after he found the scent. As efficient as he is, the task ahead of K9 Benny is enormous. In 2017, Washington ports received 1.3 million shipping containers, just one way for goods to come in and out of our state. “More dogs, in my opinion, are better than one. Hopefully down the road we can get more dogs like K9 Benny who are trained to detect the same things he is and we can expand to other species and maybe some more of our native wildlife that is also poached and trafficked,” adds Detective Wendt. Keep your eyes peeled for any signs of wildlife crime in Washington. From closed-season hunting, to rhino horn and elephant ivory in gift shops, your sightings can help Washington Department of Fish and Wildlife enforce law and stop poachers and traffickers.